Kārearea perched in a tree. Massey University research has appeared in a top international bird journal suggesting there are two subspecies of New Zealand’s native falcon kārearea. The paper titled, ‘Spatial size dimorphism in New Zealand's last endemic raptor, the Kārearea Falco novaeseelandiae, coincides with a narrow sea strait’ appeared in IBIS, the International Journal of Avian Science. It was authored by Massey University Professor Steven Trewick and postgraduate student and falcon enthusiast Lena Olley. 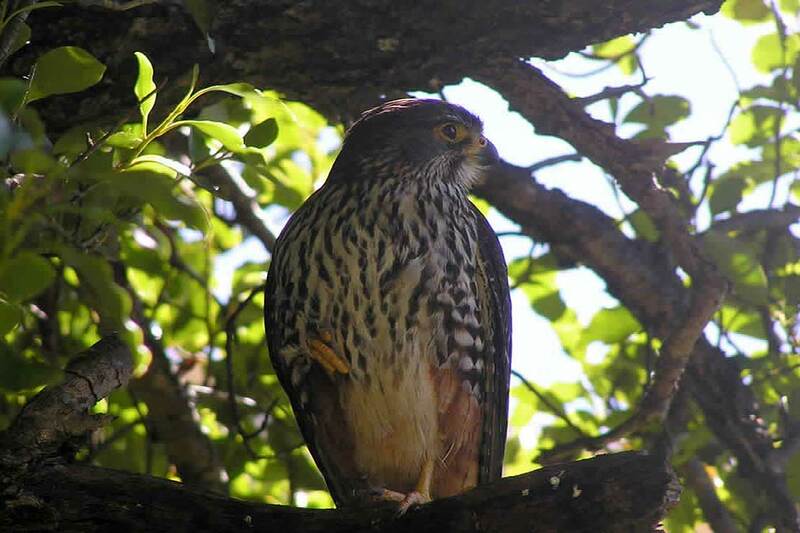 The kārearea is the only surviving endemic raptor species in New Zealand and is found in the North and South Islands, as well as the Auckland islands. It has emerged that there are two subspecies and the boundary between the two distinct lineages coincides closely with the Cook Strait. 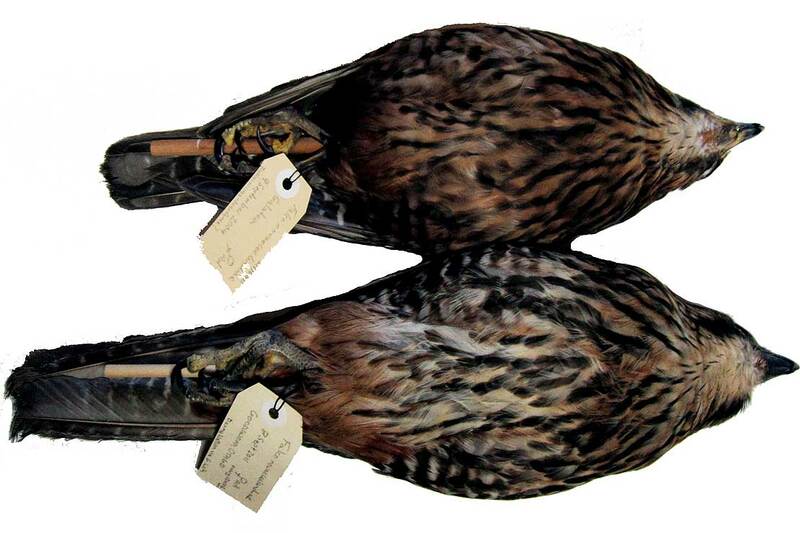 The paper examined the body sizes and neutral genetic markers of the falcon and presents strong evidence suggesting two distinct sizes within kārearea. These have been named Falco novaeseelandiae novaeseelandiae from the South Island and Falco novaeseelandiae ferox for the smaller North Island form. Above - northern kārearea female Falco novaeseelandiae ferox Below - southern kārearea female Falco novaeseelandiae novaeseelandiae. Kārearea use many habitats including bush, coastline and estuary, open tussock land, farmland and exotic pine plantations throughout New Zealand, but are absent from the Far North. Southern falcons associated more with open habitats, while northern falcons are strongly associated with native forests. “Remarkably the boundary between the size clusters coincides closely with the Cook Strait, which is a geologically young feature of the New Zealand environment. “This finding supports an informal conservation management strategy to avoid translocation and crossbreeding in captivity of falcons from the two islands,” says Professor Trewick. The Department of Conservation estimates there are between 5,000 and 8,000 kārearea left, but this number is uncertain. Major threats have come from habitat change associated with expansion of pastureland but falcons do survive in some rural environments and make use of introduced bird species as prey. Predation by introduced mammal pests including cats is a problem, as is competition for resources. kārearea continue to be persecuted by people in some parts of New Zealand. Falcons can however do well in exotic pine plantations and this is the subject of current research at Massey University. The Department of Conservation supported this work through assistance with sampling and provision of a grant from the Taxonomic Units Fund.